Curtains happen to be the most common type of window treatment. 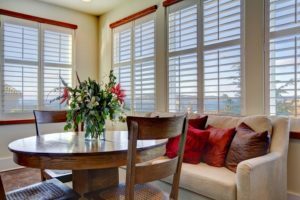 In the due course of time, you may think of giving a new makeover to the interiors, and opt for a window treatment solution that is unique and outstanding. In that case, you can think of installing blinds, which are not only aesthetically appealing but also serves practically. You can also use these window treatment options to enhance the value of your outdoor space. It is fine that you have decided to change over from the traditional curtains to window blinds, but do consider installing the same, in the outdoor area. In little or no time, you will find that the outdoor area is changing over to a stylish alfresco. You will not only end up converting it (outdoor area) into a comfortable and cozy living space, but will also have it protected from the environmental hazards including sun, wind, and rain. The window treatment of the latest kind helps to increase the look and luster of your internal space. On one hand, you can beautify the internal, or the external space, and on the other hand, can keep things safe for the family members including children, toddlers, and pets. It is a fact that the window treatment of this kind is more safe and secure than curtains. Without having to remove the shades, you can see what is going on All you need to do is use the cord for lowering the shades that you have installed, and catch a glimpse of the outside world. The option gives you better privacy than the window curtains of the traditional type. If you want to increase privacy; then, you can think of installing shades that have the top-down rolling facility. The fact that the window blinds come equipped with louvers proves to be advantageous, as well. Consequently, you need not lift the shade for viewing outside; all you need to do is have the louver suitably adjusted. Thus, you can also keep a control over the amount of light that is going to enter the house. As said previously, the shades which are sleek and stylish to look at, safeguards the interiors from the harmful ultraviolet rays of the sun. 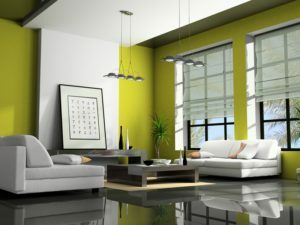 It is important that you select shades that are made of high-grade and weather-resistant materials. Invest in shades that are made of quality-assured PVC. It also helps in reducing your utility bills. That’s because you can keep the internal space warm during the winters. Contrarily, during the summers, you can adjust the shades in such a way, that the entry of light can be minimized. The fact that the shades have adjustable features proves to be most advantageous. There is no dearth of styles, designs, colors and patterns. There is a huge diversity of styles and designs and also widespread variations in the use of materials. It may so happen that one of your rooms has wooden furniture. In that case, you can make your pick from the wooden blinds. While wood may be one of the most expensive options, to stay within the limits of your budget, you can think of installing those made of faux wood. You will also come across types that are made of plastic, synthetically textured materials, aluminum, and bamboo. 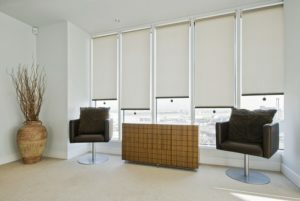 It is worth noting that roller shades are becoming more popular, than any other style wise orientation. The shades not only serve the purpose of insulation but also accentuate the look wise appeal of the internal space. From increasing the visual look and luster of your home to safeguarding the infiltration of the harmful rays and reducing your utility bills; the blinds serves you, in ways more than one. Additionally, it doesn’t take a deal to have them installed. The cost-effective solutions are also convenient to use and maintain. All you need to do is have the installation dusted with a vacuum cleaner, or use a partly moistened cloth for removing the dust. On the other hand, if you are still using the curtain, you do realize the hassle of washing the same, on a monthly basis. So, now you know why the use of shades proves to be advantageous, in more than one way. This entry was posted in Home Improvement and tagged Blind Installation, Blinds, Blinds Cranbourne, Blinds Installation, Blinds Narre Warren, Blinds Pakenham, Blinds Seaford, Blinds-Home, Home-Blinds, Installing Blinds, Installing Window Blinds, window blind installation, window blinds, window blinds installation, window curtains, window treatment. Bookmark the permalink.